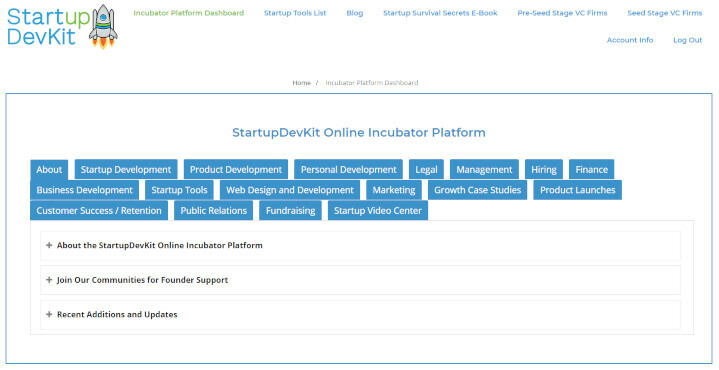 Get the startup resources you need to build and grow your startup — all in one place. Receive mentoring and get direction for your early-stage startup. No applications to join our online/virtual startup incubator program — just a questionnaire. Learn on your own time. No rigid class schedules like other online incubators. Save $20,000 worth of time spent (~480 hours) from hunting for the right startup resources. 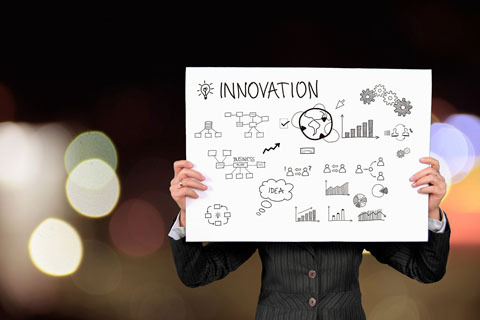 Build your core competencies to become a more complete entrepreneur. Learn how to build a solid foundation for your startup to grow on. 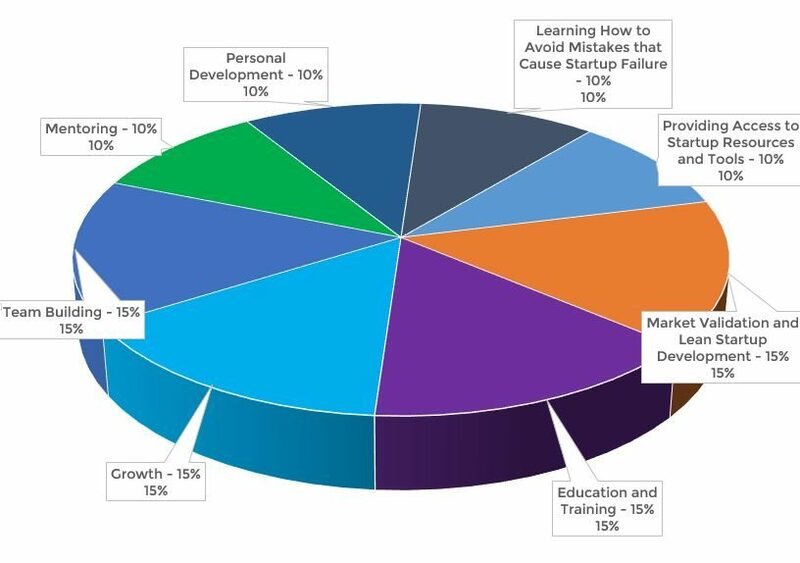 Learn how to prevent yourself from making the same mistakes that cause 90% of startups to fail. Get free credits and discounts to great services for startups. 8) Avoid mistakes that cause startups to fail (90% fail) by reading our book called Startup Survival Secrets, which analyzes the top 20 reasons for startup failure, the root causes for each one of those reasons, and how to prevent them. We’ve got great resources to help you learn how to validate your startup idea so you don’t waste any of your time on an idea that won’t work. Use our startup development guides to help you build a great startup. Get personalized direction with your startup in our premium plans or get group mentoring in our standard plan. This will help you develop and run your business and to become better in your role. Who doesn’t like videos? We’ve got videos on a wide variety of topics. Templates make starting up, quicker, easier, and more organized for you. 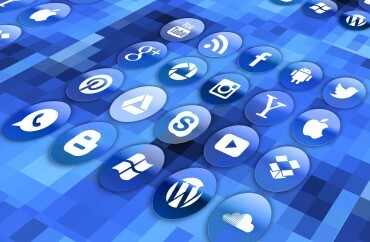 StartupDevKit breaks down countless ways to market your startup using social media, viral campaigns, paid ads, and more. Learn how to attract your target users, convert them into customers, and retain them in easy-to-understand ways on a variety of platforms and marketing channels so you can create a well-rounded go-to-market strategy, which we can help you with. Founders have to know this side of the business. 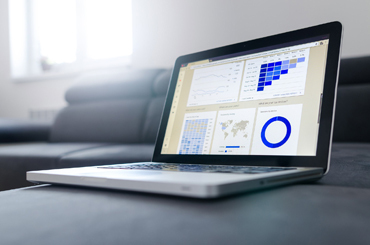 Learn the analytics side of your startup through our resources and find your north star metrics so you can measure your startup’s performance with your marketing campaigns. Where is our curated content from? Note: We’re continuing to expand this startup tools list with new categories and we’re continuing to make it the most current and up to date within existing categories. A massive spreadsheet of names, titles, companies/publications, and email addresses of each contact. This list includes all major television networks from the United States and press contacts from tech publications, marketing publications, major magazines, business publications, and so much more. Search by industry, location, and read full venture capital firm descriptions, all on one page. No clicking on any other pages is necessary. 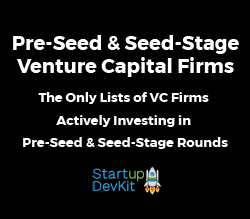 Every single firm was curated to make sure that they regularly invested in pre-seed and seed-stage rounds (Many firms say they invest in these types but almost never actually invest in them). We have a full-page directory. We don’t have an annoying interface that hog up half of the screen like Crunchbase or FounderSuite, or like InvestorHunt’s which is even smaller. Crunchbase’s membership costs $39/month – billed annually – that’s $468! Our lists are included in our membership pricing. The interface is way too small, taking up only 1/3 of the full page height Can’t search by investment focus While they have advanced search filtering for pro users, you can’t tell if they actively invest or not (many VC funds dry up). Our list is curated to only include active firms. Has tiny descriptions which aren’t informational enough to not waste time clicking on the profile. We have solid overviews of each VC firm in each listing. No going to other pages to find the content is necessary. It doesn’t have pre-seed listings. Only seed, early stage, and late stage. We have pre-seed listings, too. Foundersuite’s starting membership is $44/mo – billed annually – that’s $528! The interface is too small, taking up 1/2 of the full page height. Can’t search by investment stages, such as pre-seed, seed, series A, etc. Our lists are broken down by investment stage. Their data is not up-to-date, meaning there are dead VC firms on there and firms with incorrect information on there. Our lists are up-to-date because we made sure they are. There’s no way to tell if they’re active investors in any particular investment stage. Our lists only contain active venture capital firms. While you can search by location, there are location inaccuracies within their lists, so you’ll be misled. We cross-checked all of our firm entries’ locations for accuracy. InvestorHunt’s starting membership is $69/mo (basic), the next is $149/mo (pro), then $299/mo (premium). Damn, that’s expensive! You will have no idea what investment stage their investors focus on. Every startup needs to know that and our lists are curated specifically by investment stage. Their basic plan and pro plans won’t allow you to sort by location, which is incredibly important. You can do that with our lists. They scraped the web for VC info so their data quality is poor because bots did it. You may be following dead leads with them, too. Our data quality is top-notch. An early-stage startup who are looking to raise a round of seed funding or Series A funding. Our Accelerator Program is under development.